Harvey Myers can’t remember a time he didn’t have a guitar with him. In the late ‘60s and early ‘70s, he was one of those kids, ubiquitous in every town, who could – and did - play and sing Neil Young, James Taylor and Cat Stevens songs into the late night. Trading tunes and drinking Boone’s Farm Strawberry Hill underneath Pier 60 on Florida’s Clearwater Beach, friends were made, chords were learned and girls were impressed. All was right with the world. A stint in the Navy reinforced Myers’ love of performance, as he entertained his shipmates with the latest from Pink Floyd, Led Zeppelin, Bad Company and the like. During one of his tours of the Western Pacific, his rock ‘n’ roll band, Destiny’s End, performed on land in Subic Bay, Australia and the Fiji Islands. Even during his post-military career as a computer programmer, music was a significant part of his life – weekend garage bands, solo gigs when he could find the time … and all the while he was amassing a powerful catalog of more than 400 cover songs, from all musical categories. 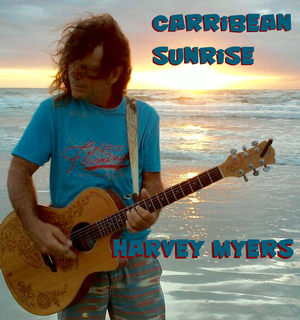 Harvey Myers’ songbook includes hits, deep cuts, crowd-pleasers and even a few things he learned way back when under Pier 60, beneath the long-ago Florida moon. Myers considers Roger Waters’ “Comfortably Numb” his signature song. That’s because unlike the Phil Collins, Jethro Tull, Paul Simon and Beatles songs he plays in his sets today, the Pink Floyd chestnut has one-of-a-kind personal meaning. A freak accident at the age of 38 left him with severe head, neck and shoulder injuries. As a result, Harvey Myers lived in excruciating pain – unrelieved by surgery or medication – for more than a decade. “I didn’t sleep for over three years,” he reflects. “When I did, it was because they finally gave up trying to treat it, and put me on morphine. I spent my 40s on high doses of opioid medication.” He was able to manage three songs a day before he had to put the guitar down, drained. Although he often performs with a band – or as a duo with his son, the prodigiously-talented Brad Myers, Harvey is in his element as a solo player, just him and that ever-present acoustic guitar. He sings with the voice of a man who’s been let out of a cage – thankful for the cool breeze, and the feeling of sun on his shoulders again.